Steam and condensate piping systems may not make the daily news, but they’re crucial to the everyday operations of many hospitals and universities. While steam systems are usually highly dependable, their repair and maintenance costs tend to increase as they age. And if you’re a facilities manager, that’s a growing concern. Whether steam is being used for sterilization, heating, or kitchen and laundry services, you count on it to run like clockwork. But many steam systems around the country are getting older and require more maintenance. Unfortunately, the physical wear and tear on steam systems will inevitably cause leaks, which result in high energy losses over time. For instance, the cost of a 1/8 in. leak in a 100 psi system would total $3,591 a year. That, coupled with the costs that result due to chemical loss and corrosion on the condensate side, and it’s easy to see how expensive and intensive maintaining a steam system can be. Plus, because most facilities no longer have a certified welder on staff, third-party mechanical contractors usually have to be brought in for even minor repairs. Due to the costs associated with system downtime, some facilities are only able to focus on repairing major leaks and forgo frequent fixes on minor ones, which could result in thousands of dollars lost on energy bills each year. And leaks aren’t the only problem. Boilers also throw the occasional unexpected wrench into steam operations. When the boiler is shut down for repair or replacement, a temporary boiler is brought in to resume steam service. If you rely on welding, that means even more time down the drain as you wait for the temporary boiler to be connected to the existing steam delivery system. A boiler going down isn’t something that happens often, but the quicker and cheaper a steam system can get back online, the better. The seal had to respond to dimensional changes in the piping due to thermal expansion and contraction. 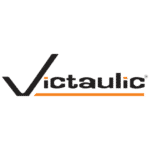 Fortunately, Victaulic has engineered the Style 870 rigid coupling, an entirely new mechanical steam coupling that’s designed to overcome those hurdles by utilizing a seal made from a polytetrafluoroethylene (PTFE) composite that has an extremely high chemical resistance and heat tolerance. This new mechanical solution is a major breakthrough for those responsible for the day-to-day repair and maintenance of steam systems, as well as those who refurbish existing steam systems or install completely new ones. It’s an ideal solution for repairing leaks because it installs quickly and is much less hazardous and cumbersome in tight spaces. It can also help your facility save money by reducing system downtime, reducing reliance on welding, and cutting down on energy lost through leaks. Plus, it’s simple enough to install and manage that repairs can be performed by in-house staff. It’s also great for situations where you’re using a temporary boiler. Instead of having to wait a day or two for temporary pipe to be welded into the existing distribution system, pipe can be grooved and installed in minutes or hours, instead of days. The first Victaulic steam couplings were installed in 2013, and feedback has been extremely positive. Facility managers at hospitals and universities who’ve used the product have already seen the benefit of this technology, especially when it comes to their bottom line. The Style 870 coupling is available for 2-8” applications on schedules 40 and 80 carbon steel pipe for saturated steam systems rated up to 150 psi. In addition to steam, this coupling can also be used on condensate lines and high pressure hot water lines. If you’ve been looking for a better alternative to current repair methods for your steam and condensate piping systems, then look no further. Visit victaulicsteam.com for the most efficient and cost effective way to repair and maintain steam systems.